Do your kids like the color purple? If they do, then they will really love these purple projects that they can create on their own! 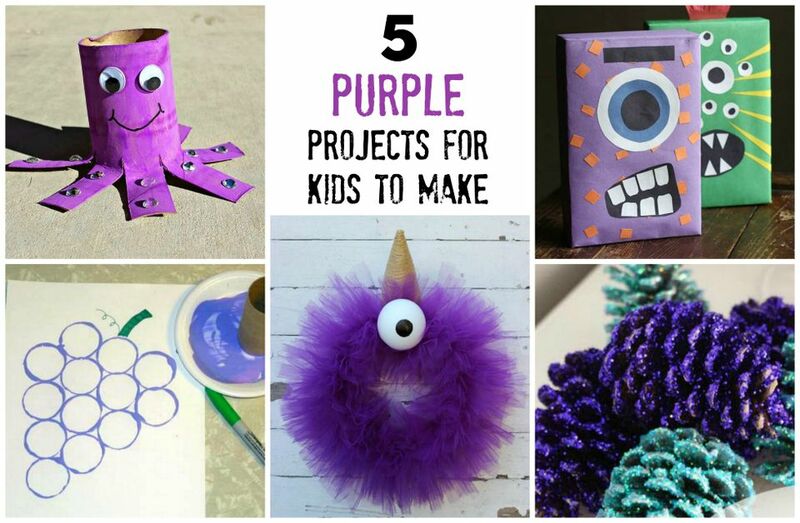 You can craft some of these purple projects to help decorate the house. There's also painting ideas, glitter ideas, and sea creatures to make. Save your old toilet paper rolls to craft these purple octopus cuties. Easiest craft ever! Your kids can pretend they are under the sea with this darling octopus craft. Use your imagination to craft these cereal box monsters. Aren’t they fun? Construction paper and an empty cereal box are all you need for this project. There are so many fun ways you can decorate your monster box. Give it two eyes or 10 eyes. There's no limit to this creativity. You will love these pretty glittered pinecones! These are easy to make and perfect for the holiday season coming up. They can be made to decorate the home for Halloween or a purple Christmas holiday. Put your old coffee, soup, and vegetable cans to good use and turn them into pretty purple pen holders. Mom, you may want to take charge on this one!